What we call "science mysteries" are often the result of scientific exploration into metaphysics, quantum physics, and paranormal phenomena. Finding the non-physical causes of physical experience is like trying to answer the eternal mystery of which came first, the chicken or the egg? Science mysteries are mysteries because the conscious mind is not capable of perceiving its own source. The scientific method relies upon logic, the left brain, and linear thinking; for example: 1+1=2. When the scientist performs an experiment where the result he or she observes is 1+1=3, and if logic, left brain, linear thinking cannot explain the result, then the result is thrown out or at best labelled an unexplained "mystery". Unexplained phenomena fall under many categories. 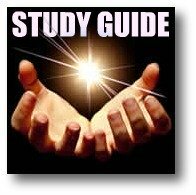 These include, but are not limited to, cosmology, healing, free energy, time travel, parapsychology, consciousness, crop circles, extraterrestrial life, and emerging technologies. Many of the things we take for granted in our everyday lives, such as electricity, wireless communications, prescription drugs and medications, and even the phenomena of birth, life, and death cannot be entirely explained by science. Life itself is a non-physical, creative process which can best be perceived and comprehended when both the left and right brain hemispheres are balanced and active. This "balancing act" is achieved by accessing the intelligence of the Heart; intuition, inspiration, and that sense of "inner knowing" or truth. Science mysteries cannot be solved using half a brain! It is this practice of emphasizing and isolating the left brain that created the "mystery" in the first place. As Einstein is quoted as saying (very wisely), "You cannot solve a problem using the same mind that created it". Explore the links below to find out how just some of the creative geniuses of the past and present solve "science mysteries", and are paving the way for advances in technology, healing, consciousness, and quality of life. OR, Go Back To: Metaphysical Science to learn more about how metaphysics can solve the greatest mysteries of science! "Instead of seeing ourselves as separate from everything around us, this view allows us to recognize that we are embedded in a fractal feedback dynamic that intrinsically connects all things via the medium of a vacuum structure of infinite potential. This research has far reaching implications in a variety of fields including theoretical and applied physics, cosmology, quantum mechanics, biology, chemistry, sociology, psychology, archaeology, anthropology, etc. A fundamental understanding of the dynamics of this interconnectivity redefines the lens through which we see the universe and our place in it, and leads to theoretical and technological advancements that move us towards a sustainable future. This new approach to the physics of universal forces has the potential to solve the most pressing issues of our times." Leading the pack in solving the mysteries of DNA and the effects of thought and emotion on biological systems, Bruce Lipton is an award winning scientist, author, and speaker. Lipton's research and results have transformed our understanding of the true nature of our DNA, and what really controls our genetic "destiny". Mystery solved? Read and listen to Bruce and find out. What is electricity? Are gravity and electromagnetic fields "real"? Today, we have technologies that utilize these forces and make our lives easier, more comfortable, and even entertaining. And yet, science still cannot answer these questions! The man who can probably be given the most credit for bringing these mysterious forces into our lives in practical ways is Nikola Tesla. If there has ever been a science mystery, it's the life story of this man! Over the course of his life, he worked with Thomas Edison and George Westinghouse, and may have met with Einstein. Tesla's contribution far outstrip all three of these men put together, and yet he is the least know among them. Now that's a science mystery! 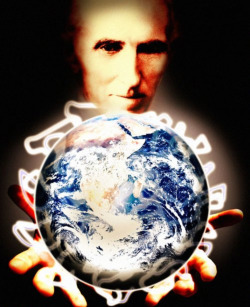 Check out this website on PBS, with articles, videos, and a comprehensive look at the life and work of Nikola Tesla. Explore a wide range of paranormal and science mysteries at World-Mysteries.com. Crop circles, UFO's, Fibonacci patterns in Nature, Free Energy systems, Cymatics, Sacred Geometry and much much more! Watch Beyond 2012 for some interesting ideas about one of the greatest science mysteries of our time.